Son had been to see Matilda on a school trip a couple of years ago and came back raving about it. Last year as part of his Christmas present he got a ticket to Charlie and the Chocolate Factory. That was a big success, this year we decided to do the same thing and get Matilda tickets. Excitement built and eventually it was time to head to London for the weekend. 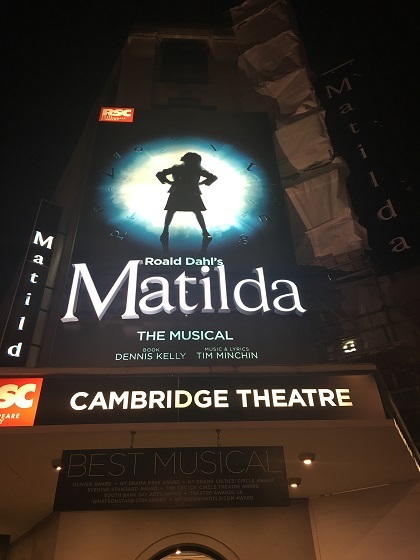 All Roald Dahl fans will know the story of Matilda Wormwood, a child with an incredible talent for learning. Despite her terrible parents she excels and is a prodigy. The story is given the musical treatment with the combined talents of Tim Minchin and the Royal Shakespeare Company. The show has already won a series of Olivier Awards and has been going for a few years. Some people say it is the best new British musical since Billy Elliot – don’t know about that, Charlie was great too but this is very different and we all loved it. We left our hotel at County Hall and decided to walk to Covent Garden first. 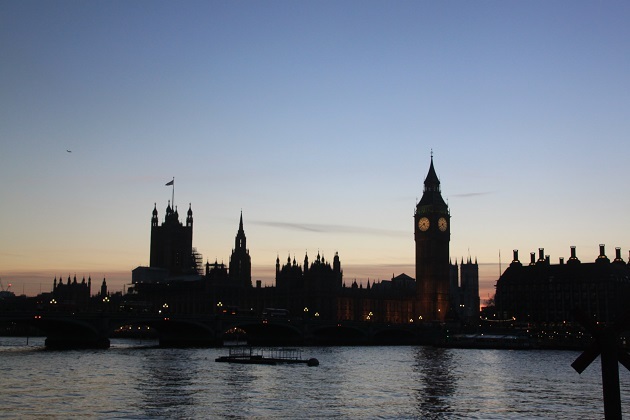 I adore walking around any big city, London is no different and in the evening it was buzzing with great views all round. 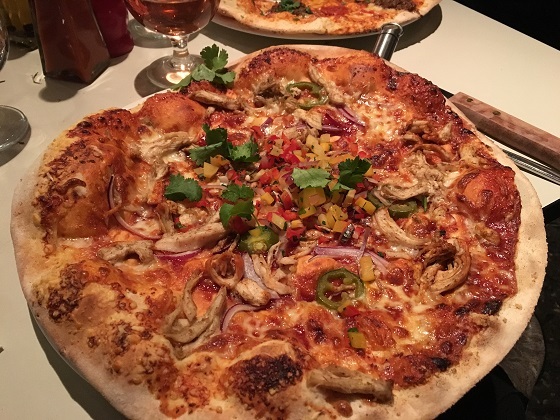 We dined at Fire and Stone, a lovely pizza restaurant with the most eclectic range of pizza toppings named after different cities around the world. Thumbs up all round and everyone was happy with their choice. A short walk to the Cambridge Theatre and we were ready for the show. This is one of the “youngest” theatres in the West End, it opened in 1930 and I was surprised at how small and intimate it felt. We sat in the stalls, all seats in this area seemed to have a great view and a feeling of being close to the stage and the action. The set is just wonderful – lots of building blocks and ascending bookcases which go right into the auditorium. The show begins with a chorus of children singing the most catchy song “Miracle.” The music is just terrific, great melodies and super clever lyrics. We all had different favourites but Revolting Children, When I Grow Up and the ABC song with its catchy use of letters were our highlights. The choreography was superb, all the children in the show are so talented with their singing, dancing and acting. Son was more than thrilled with the eye popping illusions – a piece of chalk writes itself across the blackboard and the headmistress swings a child around by her pigtails. Some lasers at the end are also a real visual surprise and treat. We just loved the whole show and sat wide eyed and engaged throughout. There was a mixture of adults and children in the audience, all were transfixed. This is a cracker of a show, I would definitely go to see it again. 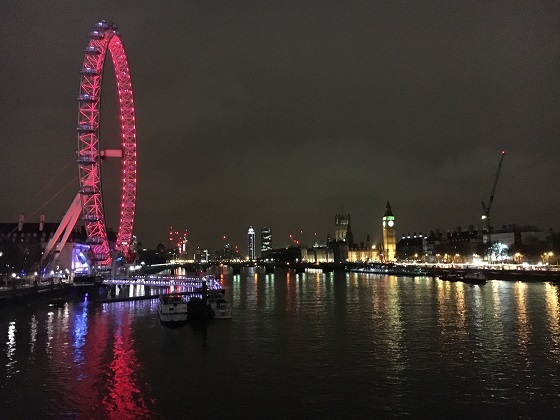 We headed back to our hotel with those songs buzzing around in our heads and got one last great London view before bed. I love the set design with all those building blocks clustered around the edges all higgledy-piggledy. I haven’t seen the musical, but it certainly sounds like one I need to find the time to see! It is wonderful – I definitely recommend if you get the chance! Montego Bay for me and Cape Town for husband – both fantastic!! Old habits die hard and it was mac anc cheese for our son. A fun twist on a pizza restaurant for sure George. Looks so cool!! I definitely want to see this musical – I loved this movie as a child. You would love the show even more in that case – if you get the chance to go definitely take it! Just found out that it’s coming here! I am going to try to drag my husband! Wish I had a girlfriend to take! The set design looks great. 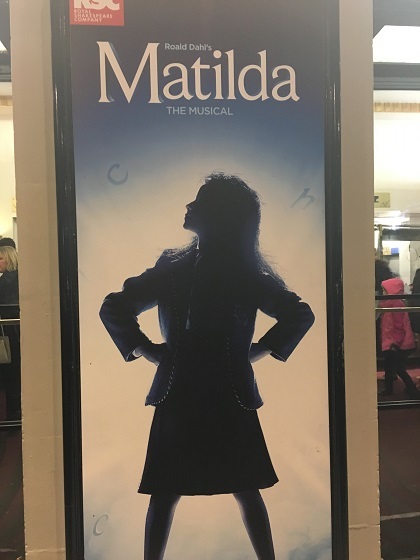 I’d love to see Matilda on stage as I loved the book. It’s good to know Charlie and the Chocolate Factory is a good one too as my 11 year old is going on a school trip to see that on Broadway in June. 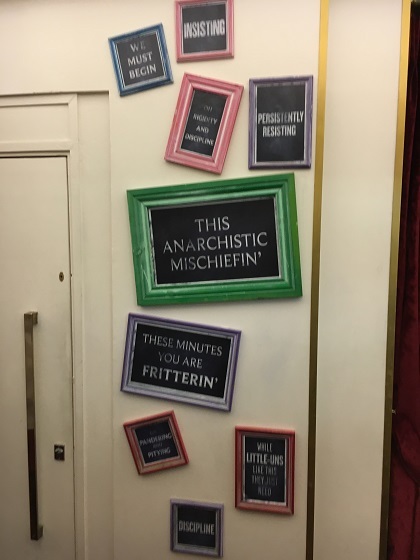 I miss access to London theatre. It’s so much more accessible in terms of price than here. Broadway prices are out of the question for a family of six but even touring productions are too pricey. We just booked to see a second tier production of a musical in regional theatre so I think that’s the way we have to go for now. It’s eye watering enough for just the three of us – double that and it is completely terrible Laura. We have a theatre near us where we get discounts quite often, however you have to be able to go at short notice and usually on a week night which mostly doesn’t work for us. I hope your son loves Charlie as much as we did – it was the most magical show and to see it on Broadway would be very special. To be in London would be wonderful, going to a show would gravy on the potatoes! 🙂 I liked the book, and the movie versions of Matilda, and love musicals and it sounds like I’d like this one too. It was such a great show, we all loved every second of it, just glad some of my pictures came out ok! 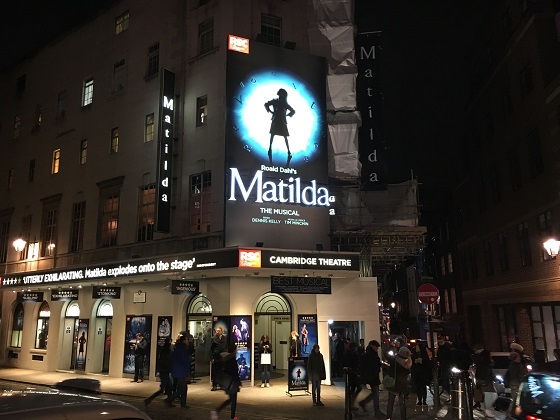 The Matilda production looks superb Joy – what a fun and uplifting way to spend an evening and like you I never tire of strolling through central London and along the Thames. Have a good weekend! A weekend in London is just the perfect thing in January I think!! We had such a great time, our son had seen Matilda before and raved about it but I was still unprepared for how much I really did love it too. Hope the weekend cheers up a bit, it’s so cold here! Enjoy your weekend too. 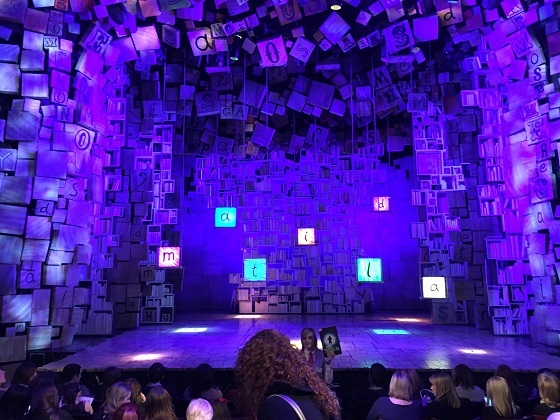 Joy, I am so impressed that Son enjoys the theater…Matilda looks like so much fun! Walking around London is always a good idea and the pizza looks amazing! That was a lucky picture – my camera wasn’t working so well in dim light so I definitely lucked out! Charlie was probably my favourite of the two to be honest – it’s gone now from London but starting on Broadway, how I would love to see it there!! I hope it comes my way! I’ve been waiting for it to come to the US! Sounds like an absolutely marvelous time! It was such a wonderful weekend, a trip to the theatre and a stroll around London definitely works for me! Matilda was one of my favourite books as a kid, and I really want to see the musical. Looks like the set and performance were amazing! It is just superb – definitely go if you get the chance! I would love to go back and see it again!! Billy Elliot has finished in the West End now I think Rosemary, we weren’t quick enough to book tickets when we realised it was on tour and I’m still kicking myself! Matilda is really great, I would definitely recommend. We watched a program about Tim Minchin and his early life leading on to working on Matilda and it was fascinating. We just can’t seem to go past Covent Garden when we’re in London!! A wet weekend here but we’re getting into all things Chinese for the Chinese New Year. Hope your weekend is lovely too. I’ve heard nothing but great things about Matilda and am so upset we never went in NYC (it left this winter). My daughter could choose any musical she wanted – that was age appropriate – for her birthday, and she chose Wicked and later said she really wanted to see Matilda. I said you had your chance – that’s the one I kept pushing her to choose! Oy. Oh no – what a shame!! Wicked is great though too – we enjoyed that one as well., it’s so tricky when you have to pick! Definitely preferred Matilda to Charlie and both were way better than Aladdin which I was disappointed by. I thought Charlie was great in the 2nd act but the first didn’t hold enough interest for me and Tim Minchin’s lyrics in Matilda are just superb. Happy I saw both though. Have you and your son seen Shrek before? That was a cracking musical! If that ever goes on the West End or tour again then I would recommend it. We saw Shrek a couple of years ago at Christmas – loved it! I’m not a big fan of the movies but I thought this was wonderful. Good to know about Aladdin too – I was curious about that so good to know how it compares! I hear from Matilda for the first time, it sounds really exciting. Thanks for the information and inspiration. Wow, that pizza looked really great! 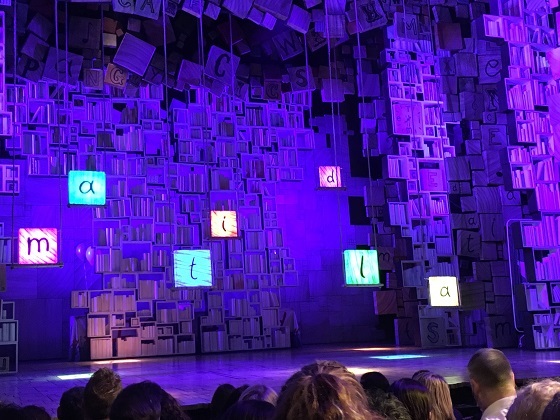 Matilda really is a great show and loads of fun – definitely recommend it!! The pizza was so tasty too! Would want to see that! It’s such a great show, we loved every minute. It’s one of my favorite movie/book growing up. It is – the lyrics in every song are so clever and memorable. The whole show is such a treat both visually and musically, definitely recommend if you can get to see it. We loved it completely. 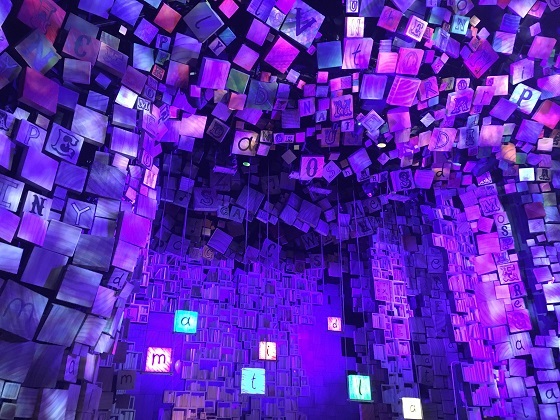 If you are ever in London and there are tickets for Matilda I would definitely recommend it Suvi, it’s fabulous. I’d love to see Matilda! Looks great! It is wonderful, one of the best stage shows I’ve seen – I definitely recommend if you ever get the chance. We loved it Mark, I would go back and see it again in a heartbeat.